Property managers have numerous responsibilities. If you’re a property manager, chances are you have a wide variety of tasks to complete on a daily basis. Unfortunately, German Yellow Jackets have no sympathy for your schedule and interrupt without the slightest provocation. Rather than adding another burden to your overloaded shoulders, our Stern Environmental NJ Pest Control team helps you stay on task and takes German Yellow Jackets off your uninvited guest list! First of all, German Yellow Jackets don’t allow blocked entrances or closed doors to stop them from getting to a hive. They’ll eat through interior walls and invade other rooms to achieve their purpose. Blocked entries only encourage their resourcefulness. Likewise, sprayed insecticides are no deterrent because they will then seek another route. Also, like guests that tend to overstay their welcome these uninvited pests don’t respond well to criticism. They’ll pursue their confronters for long distances when they feel their hive has been threatened. Yellow jackets love to occupy homes that have been “lived-in” before. Previous nesting places for hives are open invitations for German Yellow Jackets. They like reinhabiting so they can focus more on colonizing – often in the thousands! Finally, you’ll be able to tackle your normal “to-do” list by enlisting Stern’s NJ Pest Control experts! Click here and find out more! When the weather is beautiful, it can be a real pleasure to be outdoors. Whether you’re working in the garden, mowing the lawn, or just relaxing with a cool beverage on the patio. The problem is, there may be stealth-like flying insects hovering nearby. Hornets aren’t an insect you want to make angry as they become aggressive when threatened. This can lead to a stinging fray that can leave you worse for wear. 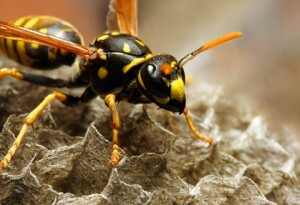 When faced with a hornet population, you need the help of a NJ pest control service. While a single sting may not be an issue repeated stings can be, especially for those with allergic reactions. When a hornet feels in jeopardy, it isn’t just the one that will be on the defense. Hornets are social. This means just one can incite action among the entire nest by releasing an attack pheromone. If the hornet is killed, it can still release the pheromone. If the scent of the pheromone comes into contact with your clothes or skin, this can cause an attack. When this happens, it can lead to repeated stings to you and anyone or anything else, like pets, that may be nearby. 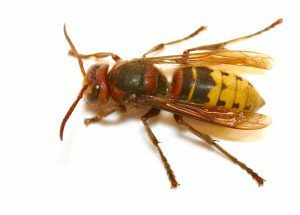 For help with hornets and their nests, the NJ pest control experts at Stern Environmental have the knowledge and equipment to deal with the situation safely. Schedule an appointment and we’ll take care of the rest. In our last post we talked about how you can properly identify hornets, wasps and yellow jackets. We also discussed how you can avoid an encounter with them on your property. Of course, sometimes these insects just get out of hand. When that happens, you need the help of NJ & NYC pest control experts. 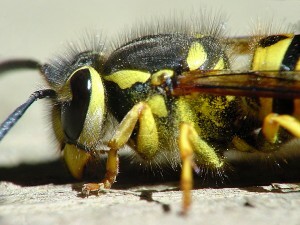 Far too many homeowners and business owners make the decision to remove wasps, hornets and yellow jackets themselves. This is a dangerous decision that could result in painful stings. Also, commercial traps may be little more than a waste of money. Professional pest control keeps you safe, and it gets the job done properly. Hive removal is the most effective way to take care of your hornet, wasp or yellow jacket problem. The professionals at Stern Environmental understand the best ways to do this. Wouldn’t it be nice to have a worry-free summer without fear of being stung by any of these pests? We can make it happen for you! If you have questions, please contact us right away! The warmer months are here, and that means the bees are out. Hopefully, your children are enjoying the nice weather, and you are too. Still, you need to know how to treat bee stings when they happen. You also should know how to prevent your family and loved ones from getting stung. The Mayo Clinic has some great information that you will find quite helpful. Keep in mind that if you’re in need of NJ & NYC pest control, we’re here to help. For mild reactions to bee stings, remove the stinger immediately. You can use your fingernails or tweezers to do this. Wash the area and apply an ice pack or a cold compress. For moderate reactions to bee stings, do all of the above, and also take Ibuprofen or another pain reliever. This will help manage pain and keep the swelling down. You may want to elevate the area or apply an ointment if it itches. Stay calm if you come across a bees’ nest in your yard. Walk away from it slowly. Also, wearing closed-toed shoes will protect you from getting stung on your feet. You should take care to remove anything from your yard that might attract bees. NJ & NYC pest control is your best option when dealing with bees. Here at Stern Environmental, we’re happy to help. Please contact us for immediate assistance. Hornets, wasps and yellow jackets are a big problem for many in our area. They build nests rather quickly, and become territorial once they do. Their stings are painful, and if you’re a homeowner or a business owner, they can cause a lot of issues for your property. At Stern Environmental, we’d like to take some time and give you some more information about these pests. It’s important to know how to identify them, how to prevent them, and most of all, how to get rid of them. If you’re in need of NJ & NYC pest control, we can certainly help you with that. Hornets – Their bodies are black with pale yellow markings. They’re not aggressive at all. Wasps – Their bodies are slim with legs that hang down. They will sting when they feel attacked. Yellow Jackets – Their bodies are shiny and sleek, and they deliver painful stings. Of course, sometimes these insects need to be controlled. Your NJ & NYC pest control specialists at Stern Environmental are always here to lend a hand. Contact us right away!